Experienced Southern Kings prop, Ross Geldenhuys, will lead the team when they take on the Emirates Lions in a Vodacom Super Rugby clash at Emirates Airline Park on Sunday, May 28. Kick-off will be at 14h30. The Southern Kings were dealt a massive blow this week when captain Lionel Cronje, who had just returned from the Springbok camp, learnt belatedly after some discomfort that he had sustained a jaw injury. It was discovered that Cronje had a small crack in his jaw which was plated on Thursday. The flyhalf will be out of action for a week before being available to take part in the South Africa A side that will take on the French Barbarians in two matches next month. The injury to Cronje has forced Southern Kings coach Deon Davids to start Pieter-Steyn de Wet in the No10 jersey this weekend. A further injury blow came from another SA A representative, loose-forward Andisa Ntsila, who will be rested this weekend after sustaining a shoulder injury which will also keep him out of action for a week. Ntsila will also be ready for action when the SA A side faces the French Barbarians, team doctor Konrad von Hagen confirmed. Chris Cloete will make a return to the starting XV after being sidelined with a concussion for the match against the Brumbies. Tyler Paul, who has played at flank this season, will move to the back of the scrum to fill in the gap left vacant by Ntsila’s unavailability. 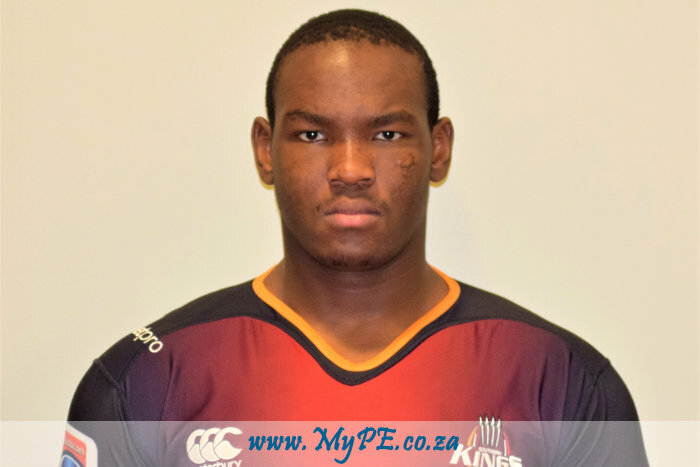 Stefan Willemse will complete the Southern Kings’ loose trio, with Thembelani Bholi providing cover on the bench. Lock Wilhelm van der Sluys, who missed out on taking part in last weekend’s match due to a groin injury is back in the starting XV and he replaces Lubabalo Mtyanda, who will be on the bench this week. “It is a blow to lose our captain after we only found out when he returned from the Springbok camp. This is a great opportunity now for Pieter-Steyn de Wet, who will be getting his first start. We do believe that he is a capable player to fill Lionel’s boots,” Davids said on Friday. The head coach had something to smile about in his backline following the return of Malcolm Jaer from a knee injury. After last turning out for the Southern Kings while on tour in Australia, Jaer will start at fullback, replacing Chrysander Botha. There will be three debutants for the Southern Kings on the bench. New signing Mzamo Majola, who is on loan from the Sharks, will make his Vodacom Super Rugby debut should he take to the field, while scrumhalf Stefan Ungerer and utility back Ntabeni Dukisa will also get an opportunity to make their debuts for the Southern Kings. “We have been very impressed with what we have seen from Mzamo Majola since he recently joined us. He has shown great signs as a good scrummager. We know that the Lions will be competitive in the set-pieces, so this will be a great opportunity for Majola to prove his worth. He is really a player we are excited about,” Davids said.